I imagine many of you are reading this and wondering how and why Carson felt the need to make that analogy. Some of you might have even re-read my previous paragraph twice, just to make sure you weren’t missing anything. And I’m sure a couple of you even googled this quote, just to make sure it wasn’t taken out of context. If you did any of this, you did it because you’re a sane person. And, like most sane people, you probably have trouble understanding why quasi insane people do and say the things they do and say. 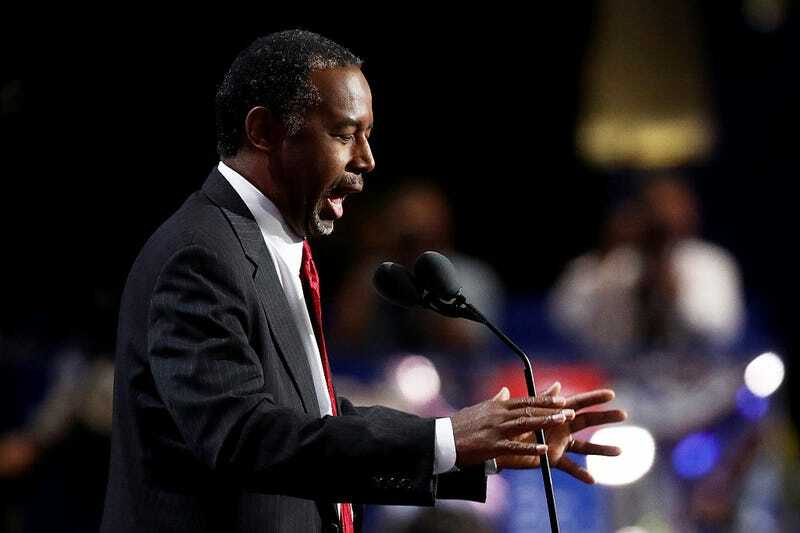 And here are a few more times Ben Carson may or may not have compared something he didn’t like very much to slavery.